As a result of the first three quarters of 2015 world oil stocks have increased by 285 million barrels. RBTH presents a selection of views from leading Russian media on international events, featuring reports on the OPEC announcement that oil surpluses have reached a 10-year high, postings on Russian social networks warning of terrorist attacks, and new courses in Moscow on how to use a selfie stick for self-defense. The Kommersant business daily reports that the Organization of Petroleum Exporting Countries (OPEC) has published its monthly statement on the condition of the market. At the end of the first three quarters of 2015 the world oil production level reached 2.5 million barrels, which has naturally led to an increase in the oil surplus, whose volume as a result has reached a 10-year high. Today the 150-million-barrel level is an indicator of high excess. In the last 10 years this mark was exceeded only once: At the beginning of 2009 the level of crude oversupply reached 180 million barrels. Back then the situation was provoked by the world financial crisis and a drastic fall in demand for oil. As a result of the first three quarters of 2015 world oil stocks have increased by 285 million barrels, which not only significantly exceeds the average indicator of the last five years but also has become a new high mark in the last 10 years. However, writes Kommersant, at the end of October the level of world oil production was reduced and the level of supplies from the organization's competitors, according to predictions, will start to fall starting next year. This will occur against the background of low oil prices, which for a long time have been fluctuating around $45 per barrel. 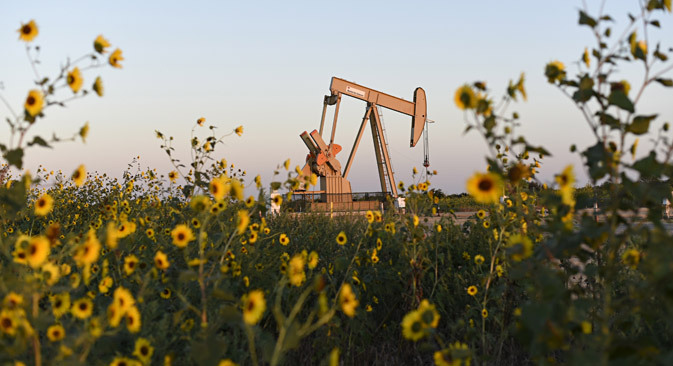 The publication reminds its readers that in the summer of 2014 oil quotes exceeded $100 per barrel, but OPEC's decision to increase its production in order to preserve its share of the world market resulted in a price fall of more than 50 percent. The Gazeta.ru news website reports that the Russian Interior Ministry has identified a group of individuals that is transmitting false information on terrorist acts being prepared in Russia. In the upcoming days the individuals will be questioned about the motives behind the publication of such information. On Nov. 10 information about 18 suicide bombers intending to blow themselves up in large cities throughout the country was communicated on messengers and social networks, first in the Republic of Tatarstan and then across Russia, writes Gazeta.ru. The warnings typically read: "A friend from school, where her child studies, has been sent a warning: Dear parents, please be informed that, according to the Interior Ministry, 18 terrorist suicide bombers have been sent to Russia and this weekend a terrorist act may take place in large shopping malls. Warn your friends and family. Please take this seriously. We are making great efforts. Information from the police." In some versions "school" was replaced by "kindergarten" and either "the police" or "city security services" were used as sources. According to Moscow Police Commissioner Anatoly Yakunin, these threats may be related to extremist activity. "We are working in emergency mode and will continue so until we receive special orders," he said. The m24 online newspaper reports that a Moscow combat sports center is organizing self-defense courses in response to demand from novice athletes interested in traveling. "There have been many incidents when tourists were attacked by robbers and the only self-defense instrument at their disposal was the selfie monopod. We found out that there is a new self-defense trend in the world called mpd-fight (monopod-fight)," said a representative of the combat sports center. The course organizers are convinced that the selfie sticks will help people defend themselves from practitioners of all types of combat sports – boxing, wrestling, mixed martial arts, etc.